Внимание: TVHeadend и DTV конфликтуют между собой! Поэтому переключаться с DTV на TVHeadend и наоборот, необходимо только после перезагрузки! Список каналов, пиконы, редактор, конвертер и т.д. Spanish DTV Channels Astra1 19E. Does AC3 sound work with you in Android or Neutrino? I tried many times but could not get audio on AC3 channels neither in ATV nor in Neutrino. If it is working with you, can you guide me? Do you mean AC3 audio is working in Vitmod ATV 5.0? The AC3 sound by DTV works perfectly in the firmware VITMOD 5.0. 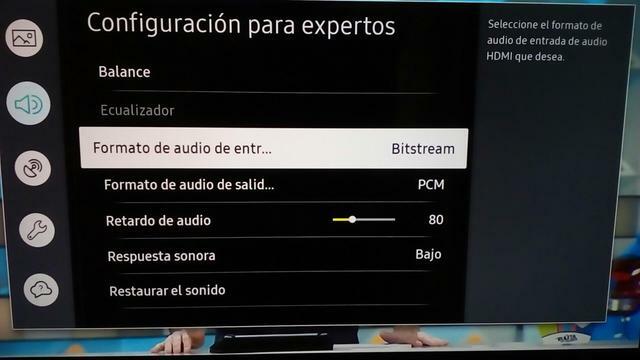 In the new SmartTV Samsung carries the sound option Bitstreams. Then I will attach some photos with the option of sound bitstreams. 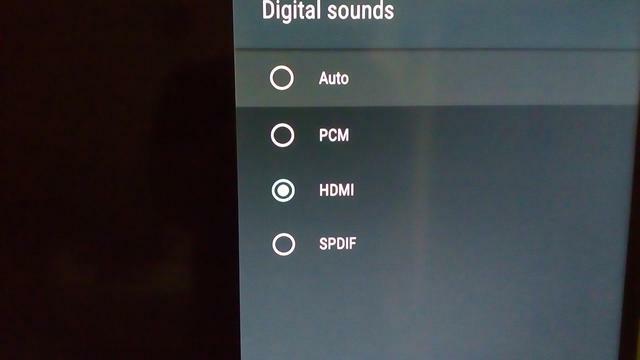 In Android settings of the KIII PRO sound you have to put HDMI and not auto, then on the TV option sound bitstream. Greetings, if you are Spanish ask me about forokeys forum. In DTV Android you can hear all the Spanish channels in HD. In neutrino also all but 1HD that is not heard by satellite or terrestrial TDT, the rest all with sound. В общем дело в следующем - каналы настроены все работает,пытался отсортировать каналы -захожу в редактор каналов ,захожу в 36 редактирую первый например кинопремьера второй кинохит итд - выхожу подтверждаю - вроде все сохраняется . В чем может быть дело ? Unfortunately, I don't have smart tv but normal LED display of Samsung and there is no such option of Bitstream in its audio options. I again tried by installing it on my KI Pro but even after setting to HDMI, there was no audio for a channel having AC3 sound. On my previous Panasonic TV, this option of AC3 was not possible, so I changed TV, also to mention that the only firmware that DTV does me well without the problem of red and greenish stripes is this firmware VITMOD 5.0.
что за зверь такой этот андроид тв ? Sorry, I used the google translator but I can not understand the question, I'm Spanish. Is there any option to connect tuner to the SCR/ Unicable LNB ? Страница сгенерирована за 0.05 секунд. Запросов: 23.